Important information for using your time at the YECH17! Important information for using your Walkie Talkies at the YECH17! 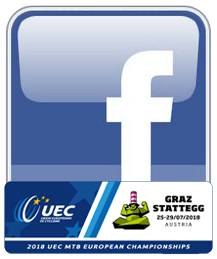 The 7th and for the present last UEC Youth ECH on the Statteggian soil of the bikeCULTure Region Graz delivers a new record of registered teams! 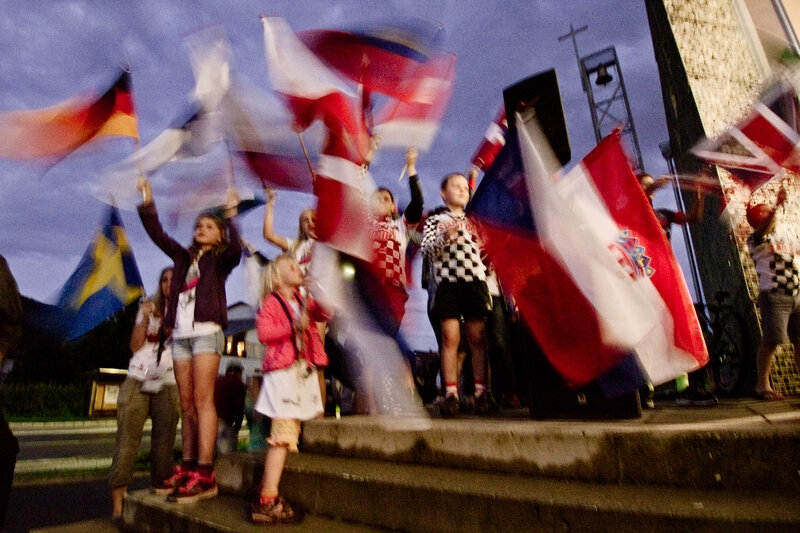 138 teams with 414 riders from 21 Nations will fix Graz/Stattegg from 14th - 18th of August as the epicentre of European youth mountainbike sports! Registration for the teams (officially) ends on the 28th of June !!! Let´s bike the future! 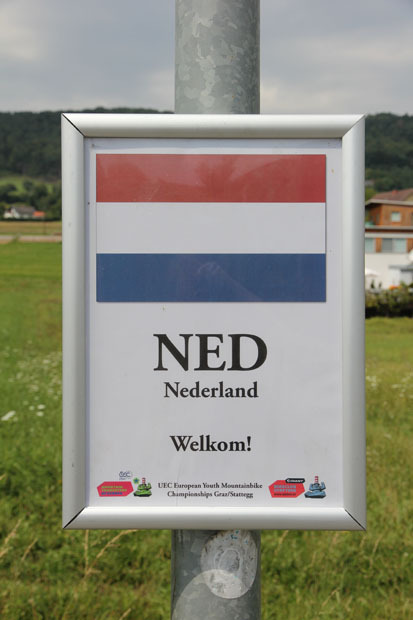 = UEC European Championships Juniors/U23/Masters = UEC European Championships 2020 !!! 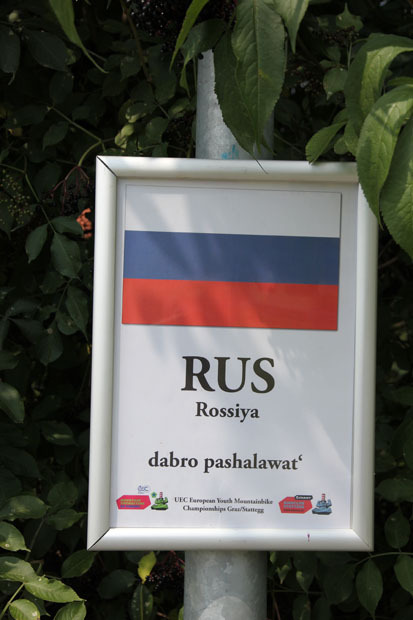 The registration is opened (as every year) since June!!! We have all been waiting for the official team registration list! And here it is!!! BAM!!! SuperNEW!!! 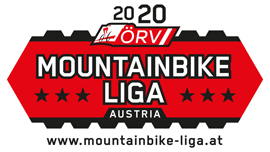 The Team-Registration-List 2016!!! 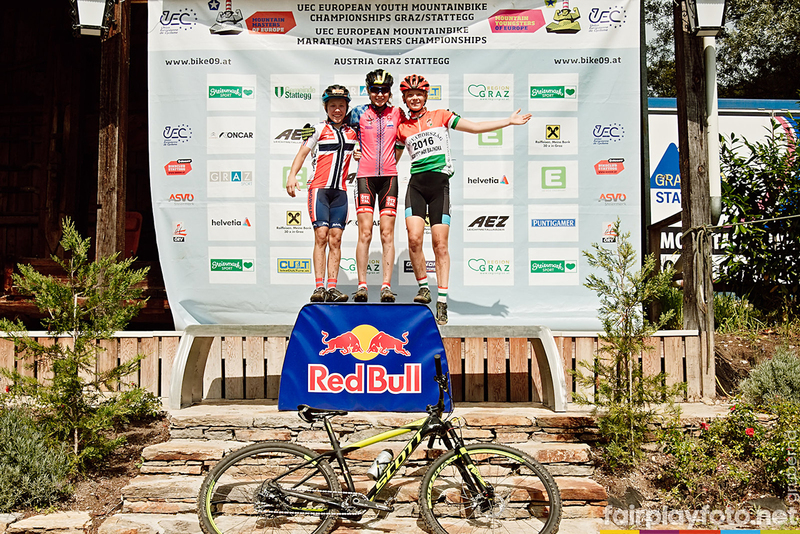 The Registration (Teams) for the UEC Youth MTB Championships 2016 will be opened at the end of May (about 30th) and for the first time in history an entry fee of about €150,- for each team will have to be paid because of economic reasons! LIVE-Timing Results 2015 for each race almost in real time! Important information for using your Walkie Talkies! 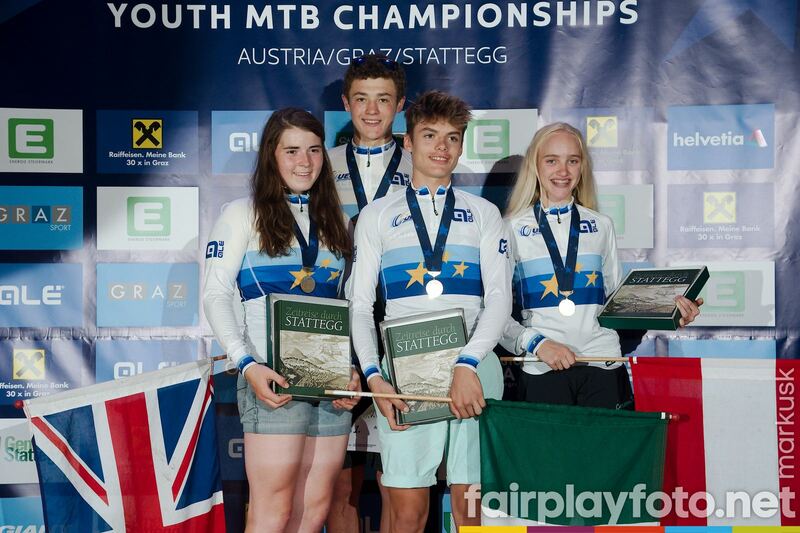 The 2015 UEC European Youth MTB Championships Graz/Stattegg rise up on the horizon! The 2015 Leader-Tricots have arrived and been tested by Flo, Stephie and Elisa from BC GIANT Stattegg JECH-Team and been assessed as Echt geil ! Another good reason to become a leader at the ECH15! Riders registration is open now! Riders registration will be closed on the 31th of July! Fahreranmeldung schließt am 31. Juli! Iscrizione dei partecipanti infino 31. luglio ! Enregistrement des participantes est finie avec effet du 31 Juillet ! Team-registration-list will be offered soon !!! The 4. 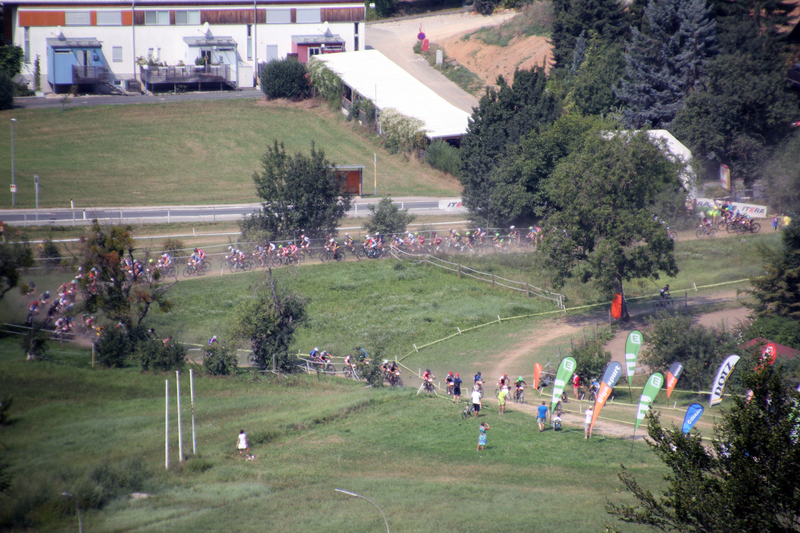 UEC MTB Youth European Championships in Graz/Stattegg ended with the XCO at the long distanze. Same course and same starting times as Thursday! 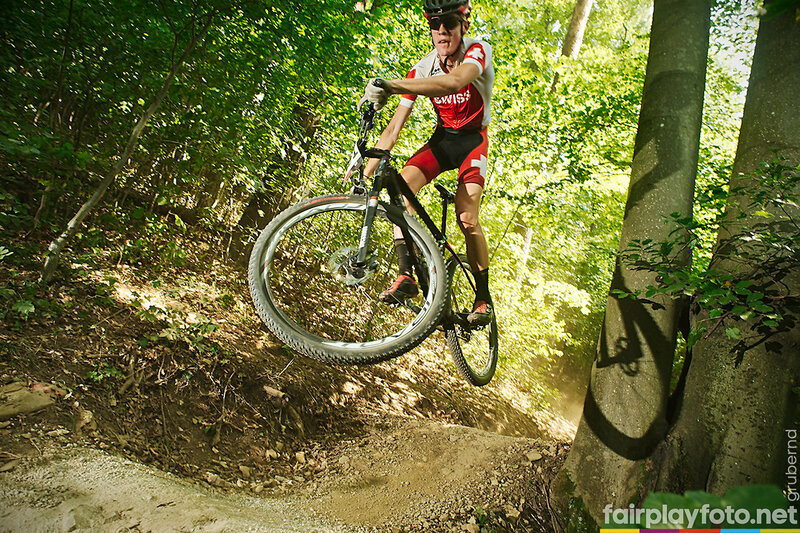 XCO on XC XL course! 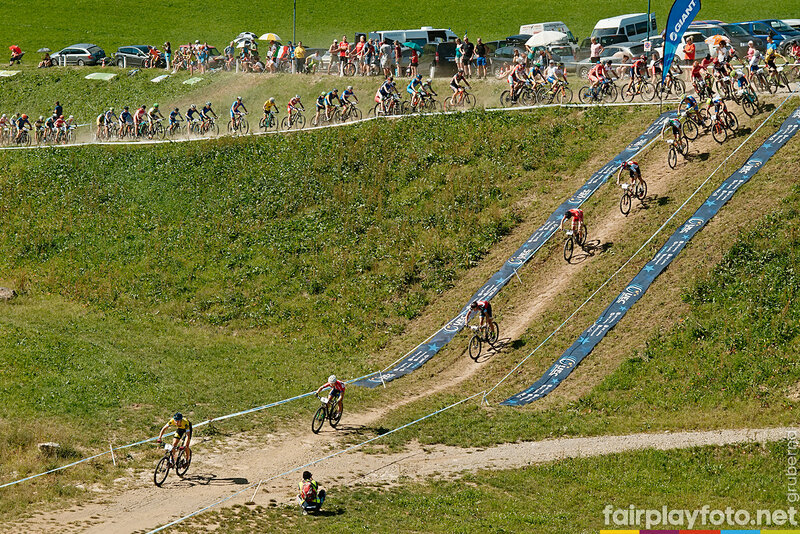 Due to the bad ground conditions on the XCO course the XCO race will be transferred to the XC XL course. 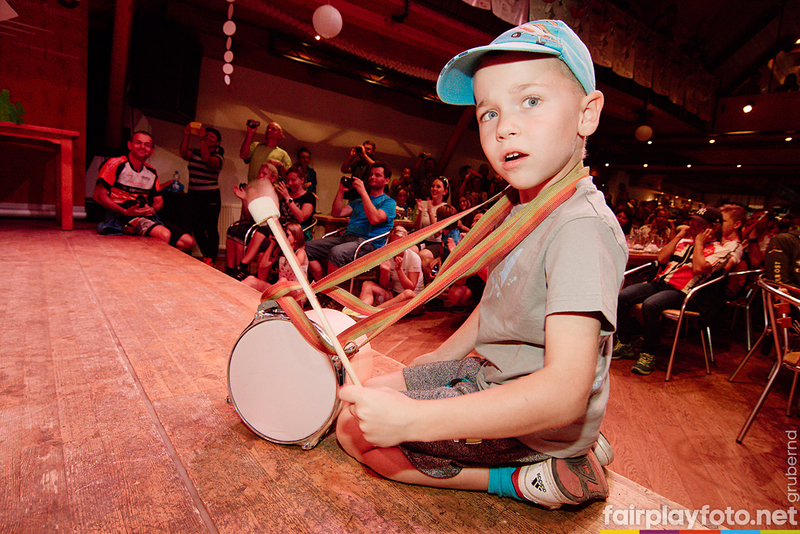 Daily photo report on KLEINE ZEITUNG online! Download the teamlist and check it please! 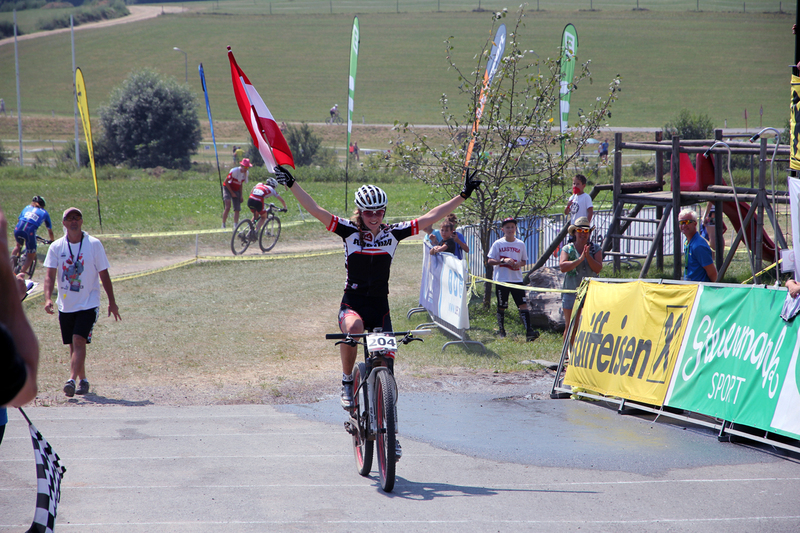 The 2014 UEC European Youth MTB Championships Graz/Stattegg rise up on the horizon! Riders Exchange is open now! 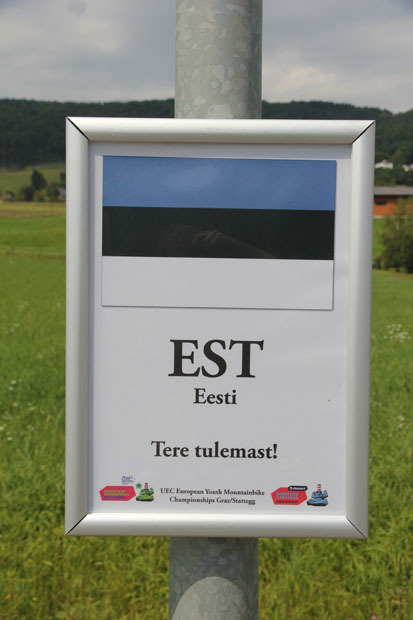 The team-registration form for the UEC EYMCH14 is online from the 2nd till the 29th of June! 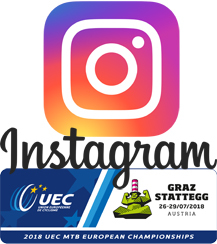 The team-registration form for the 4th UEC European Youth Mountainbike Championships from the 11th to the 15th of august 2014 in Graz/Stattegg will be online until the 29th of June! You have to register your teams and to book your hotel rooms (if you do this via the organizer) until the 29th of June. The explicit information about your riders you need to send us until the 28th of July. If you allow us to process the booking for you, you get bed and breakfast for one person of each team (one female rider at least) for free, no difference between national- regional- and club teams. 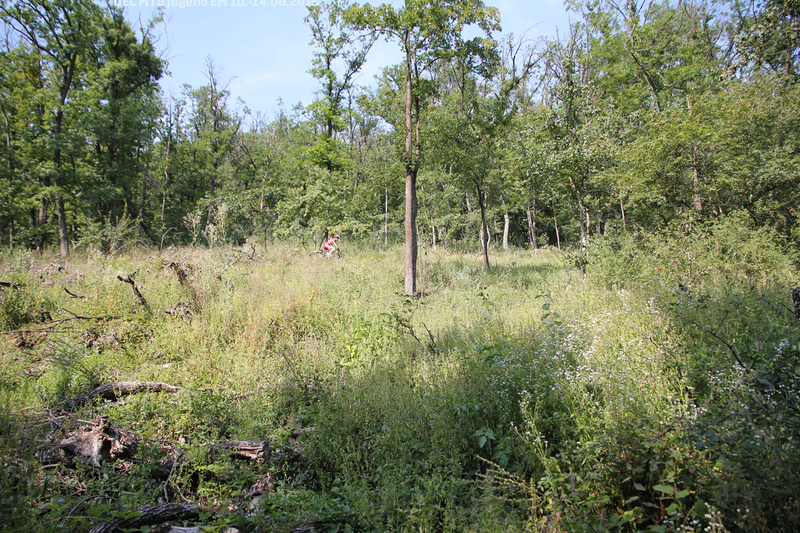 Registration for the teams started on the 2nd of June 2014 about 00:21 p.m. 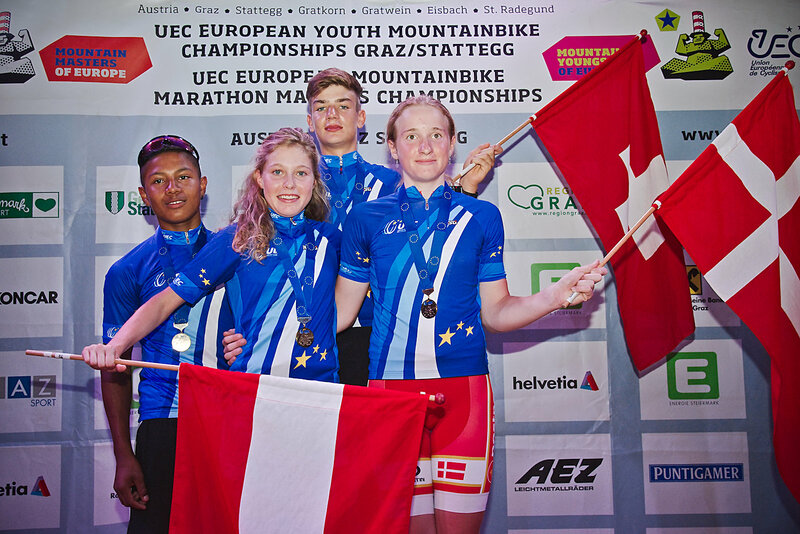 The fourth UEC European Youth Mountainbike Championships will take place from the 11th to the 15th of August 2014 in Graz/Stattegg (Austria)! 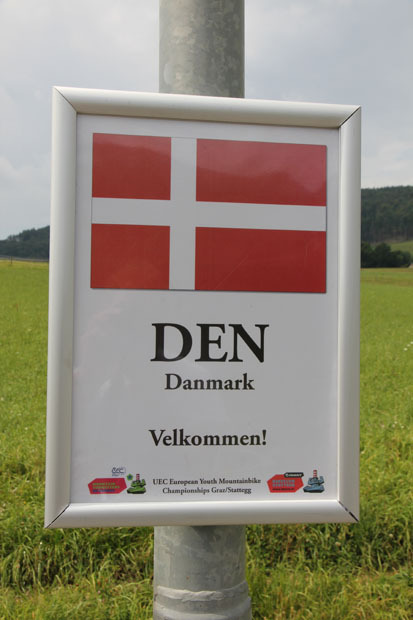 The Organising Comitee is pleased to welcome youngsters from all over Europe! 29" wheels are allowed at the UEC EYMCH14! NEW!!! From the year 2014 on 29" and 27.5" and 26" and smaller wheels are allowed for all categories U17 and younger! 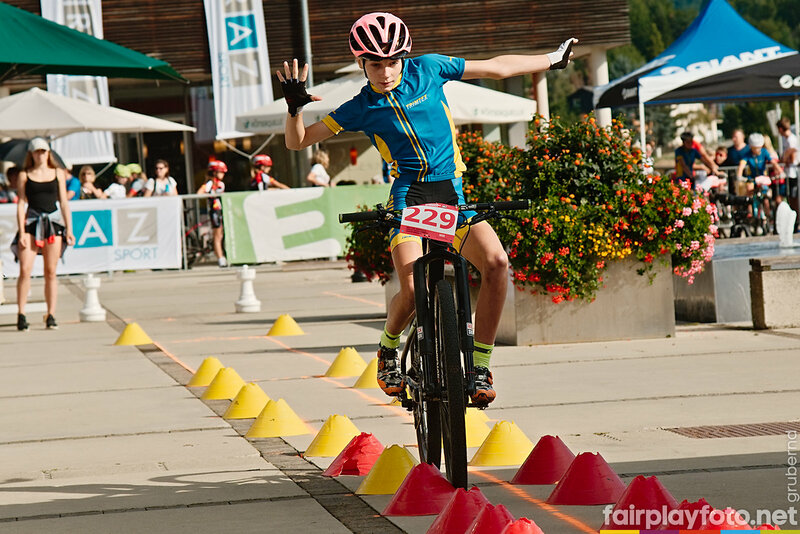 But, in agreement to the UEC, all participants at the UEC European Youth Mountainbike Championships 11.-15.08.2014 in Graz/Stattegg have to use the same Bike and the same wheel-dimension for all competitions!!! 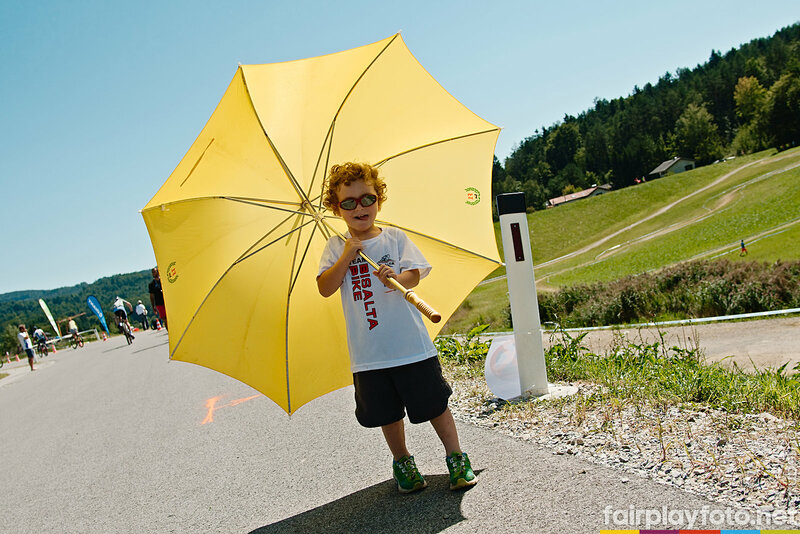 This rule is also valid for foreign participants at the MTB Combined within the Austria Youngsters Cup 2014. >> go to the shop with all pictures! 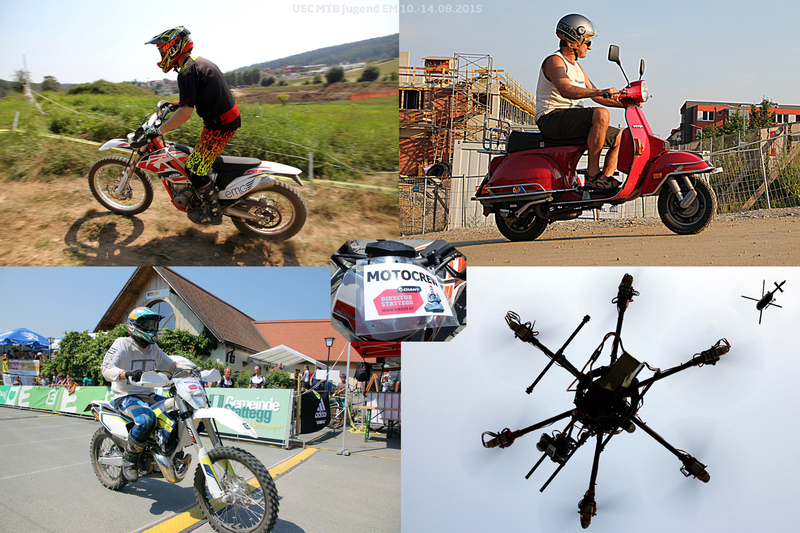 TEAM-RIDERS-NUMBERS LIST - Status 10.08.2013 - Controll it please! Team Registration List - Please check it! Wheels larger than 26 inches are forbidden at the UEC EYMCH13! 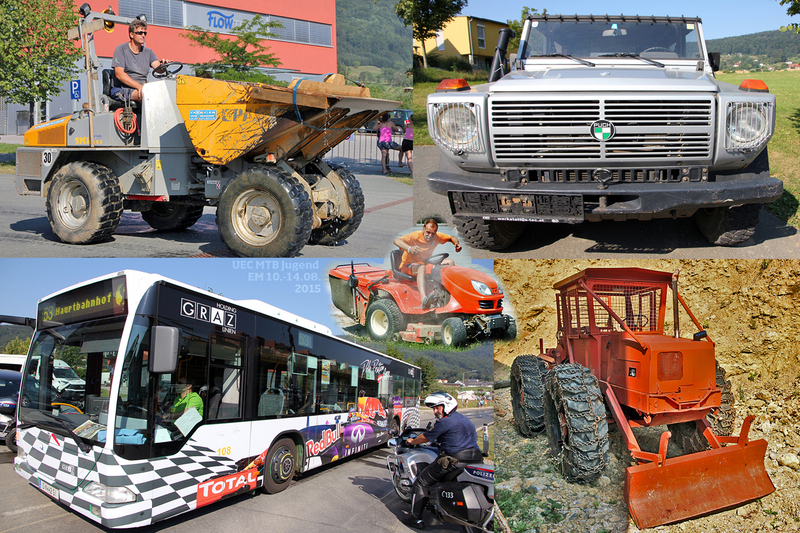 In Austria 29" and 27.5" (and 26.75" and 28.25 and ...), all wheels larger than 26" are forbidden for all categories U17 and younger since 2012! 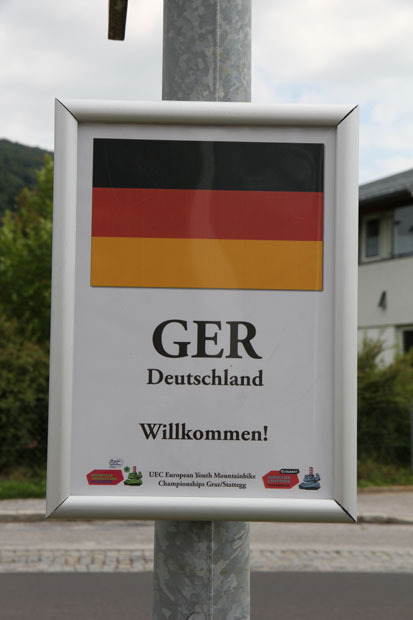 This rule is also valid for foreign participants within the Austria Youngsters Cup 2013 and in agreement with the UEC also at the UEC European Youth Mountainbike Championships 12.-16.08.2013 in Graz/Stattegg. 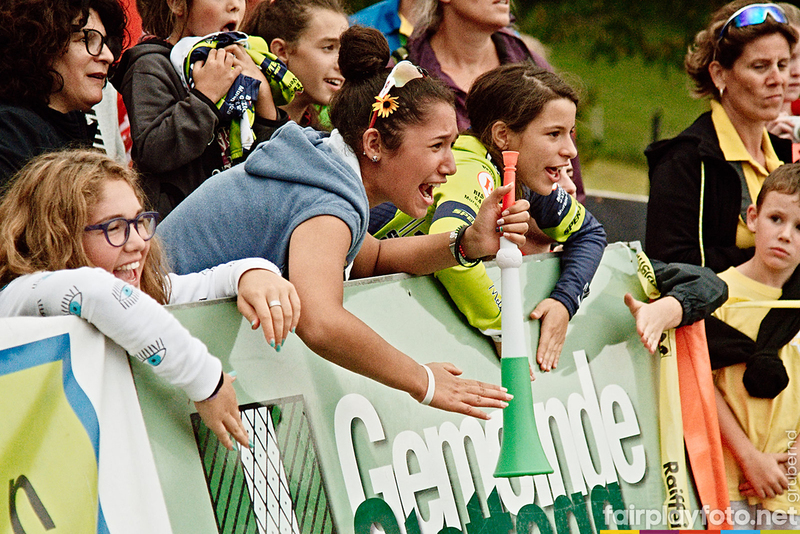 The Time-Trial for the regulation of the starting grid for the Team Relay will take place on Monday, 12th of August at 17.30 as a Team-Time-Trial . Each 3-riders-team has to complete a course of about 2 minutes lenght together. 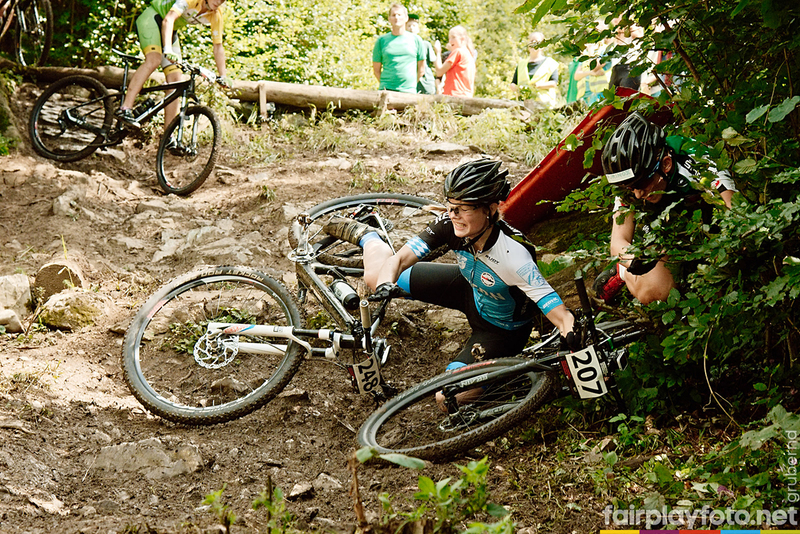 The ride-time of the slowest team-member is essential for the ranking for the Team Relay. 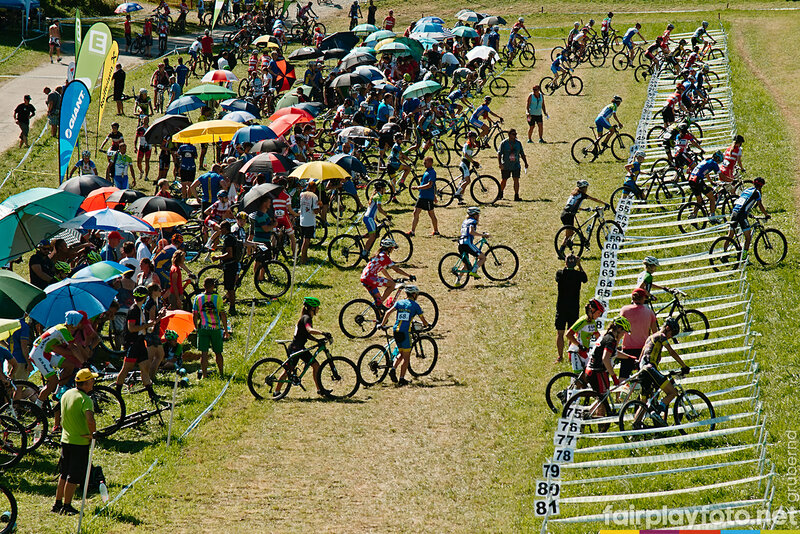 The registration of the riders will be opened until the 29th of July! Enregistrement des participantes est ouvert jusque´au 29 de juillet! 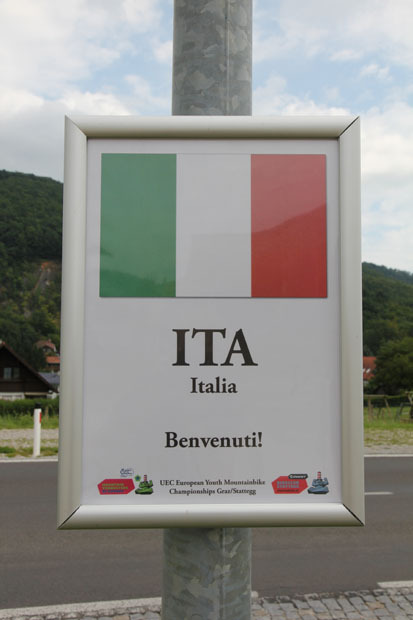 The registration form for the UEC EYMCH13 is online from the 3rd of June till the 29th of July! 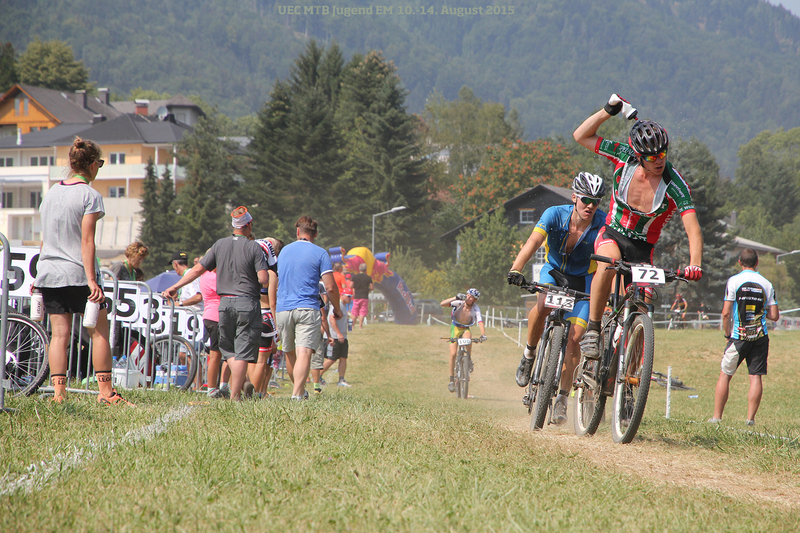 The registration form for the 2nd UEC European Youth Mountainbike Championships from the 12th to the 16th of august 2013 in Graz/Stattegg will be online on the 3rd of june! You have to register your teams and to book your hotel rooms until the 30th of June. The explicit information about your riders you need to send us until the 29th of July. If you allow us to process the booking for you, you get bed and breakfast for one person of each team (two boys, one girl) for free, no difference between national- regional- and club teams. 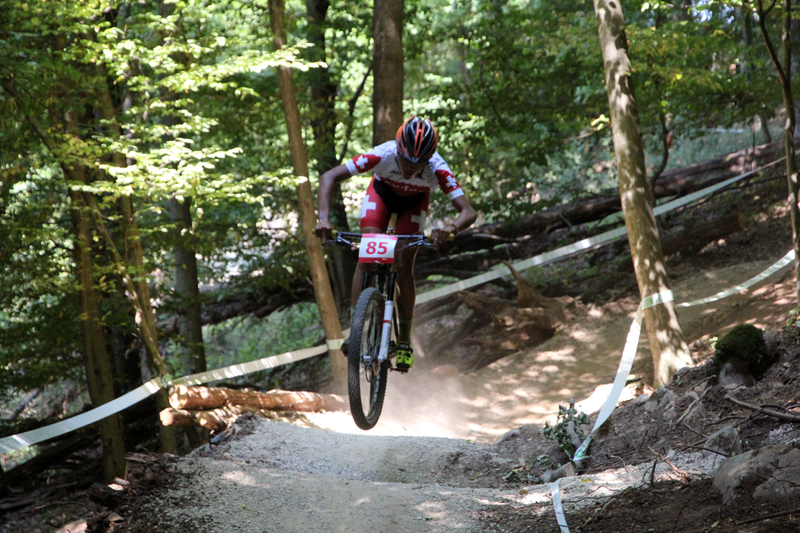 The fixed date for the UEC European Youth Mountainbike Championships Graz/Stattegg is the 12nd – 16th of August 2013! 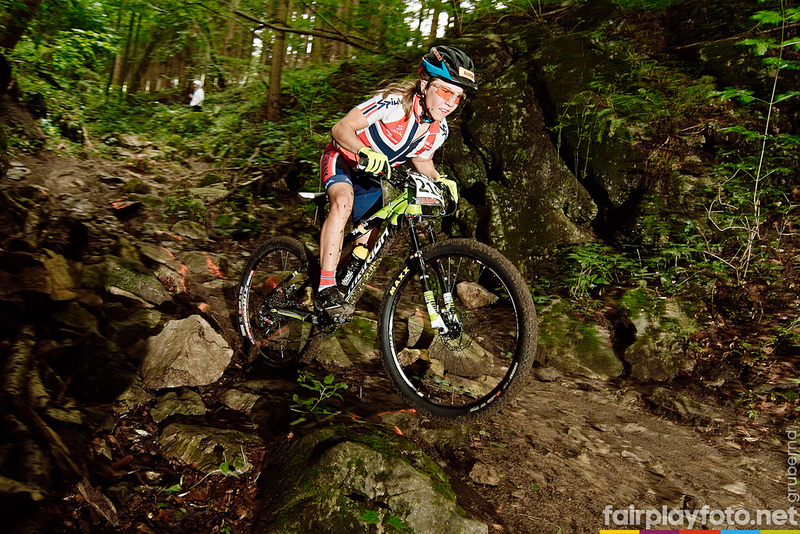 The after race party on friday, 17.8. at 19.00 at the Lässerhof! The After Race Party on Facebook > Please register! Updated TIMETABLE with all details!! List of all teams and riders > Please check carefully! 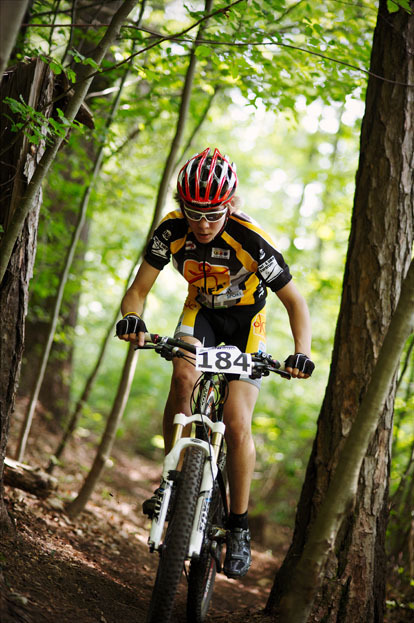 114 Teams with 3 riders each are registered! 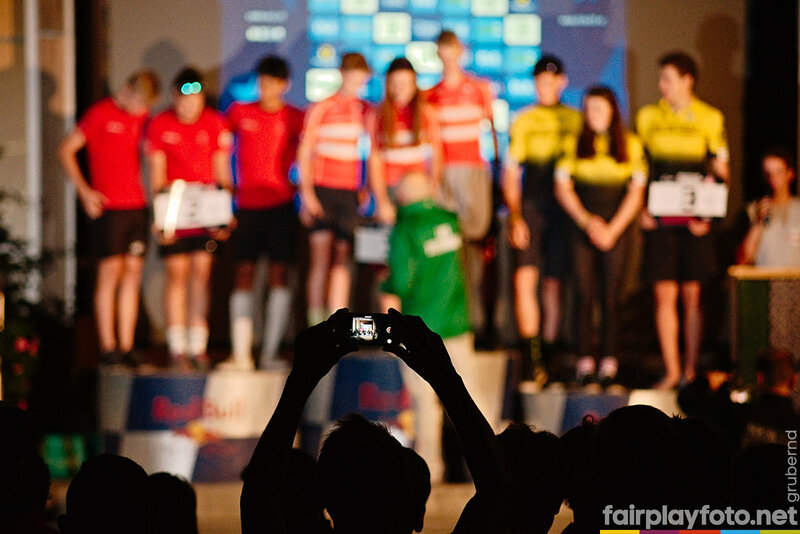 That means a total of 342 riders in the categories U15 and U17. 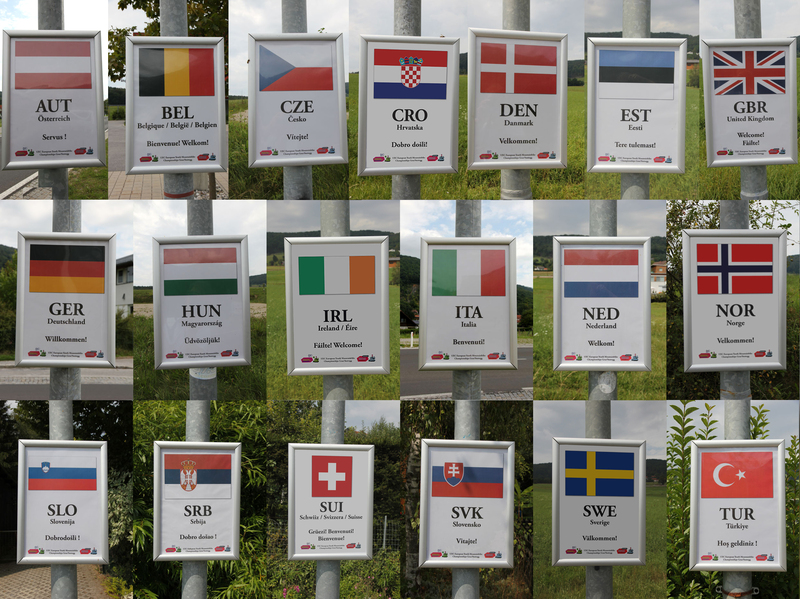 Riders from 20 nations will take part. 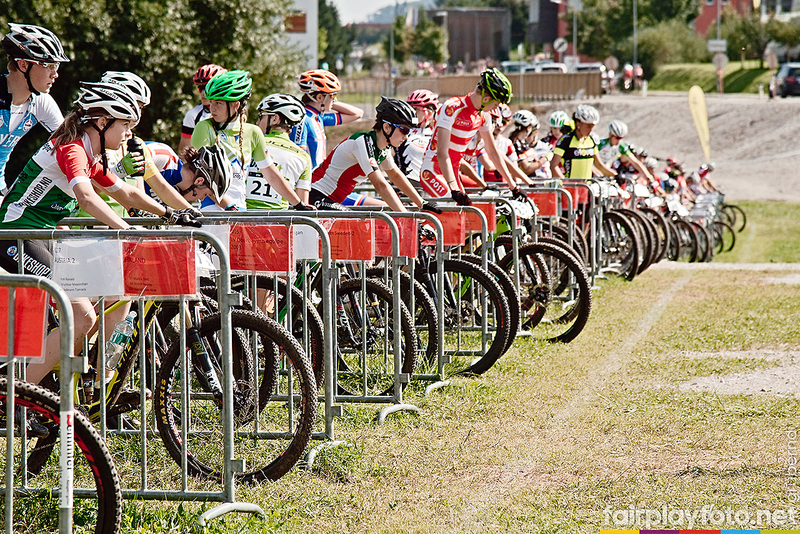 14 national federations will send 34 national teams of 3 riders each (1 girl, 2 boys)! This result of the registration beats all expectations. 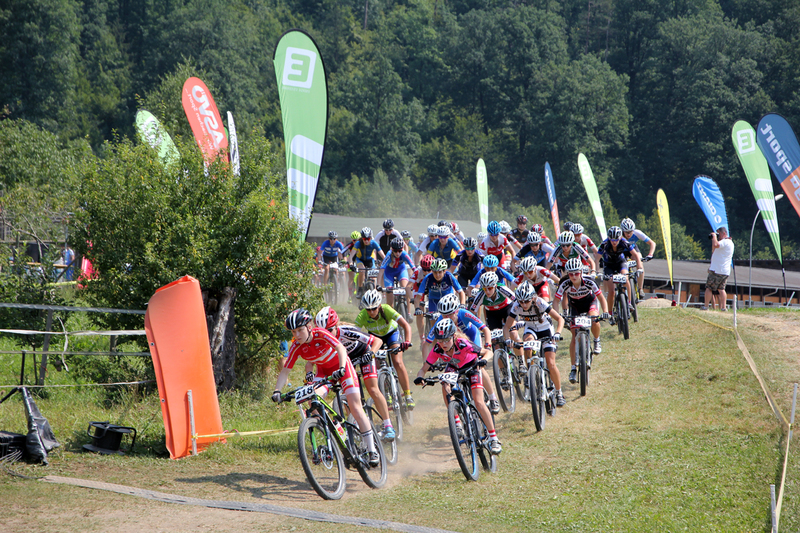 40% riders more than at the first UEC Youth ECH in 2011 will participate this year. 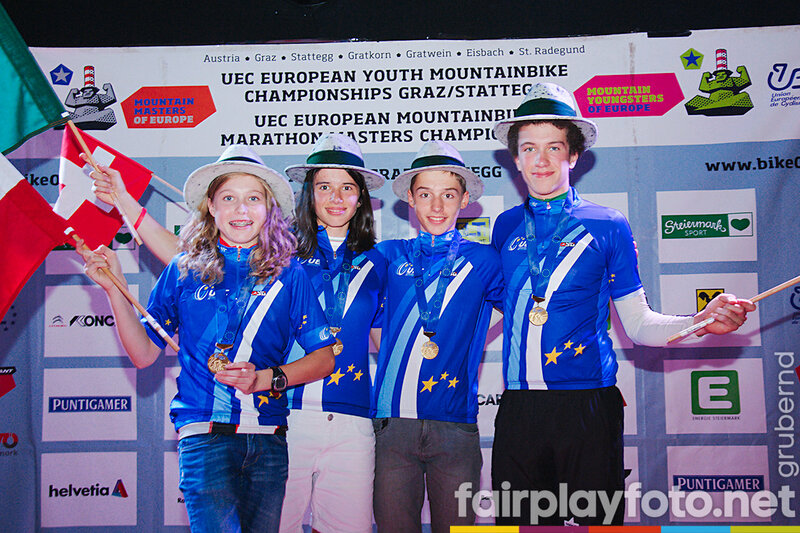 The best biking youngsters of Europe fight for their European titles! 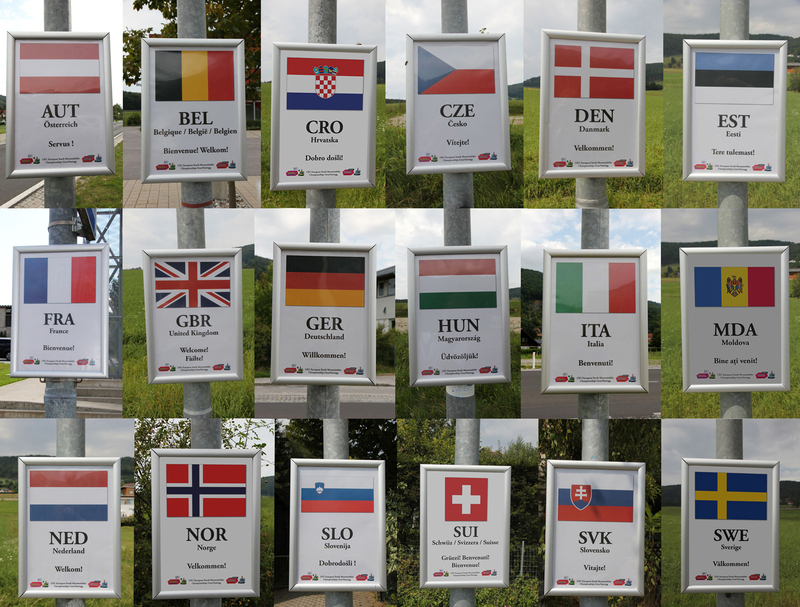 246 participants in 82 teams from 20 nations made the first UEC European Youth Mountainbike Championships in Graz/Stattegg 2011 to the outstanding event in Europe´s mountain bike youth sports. 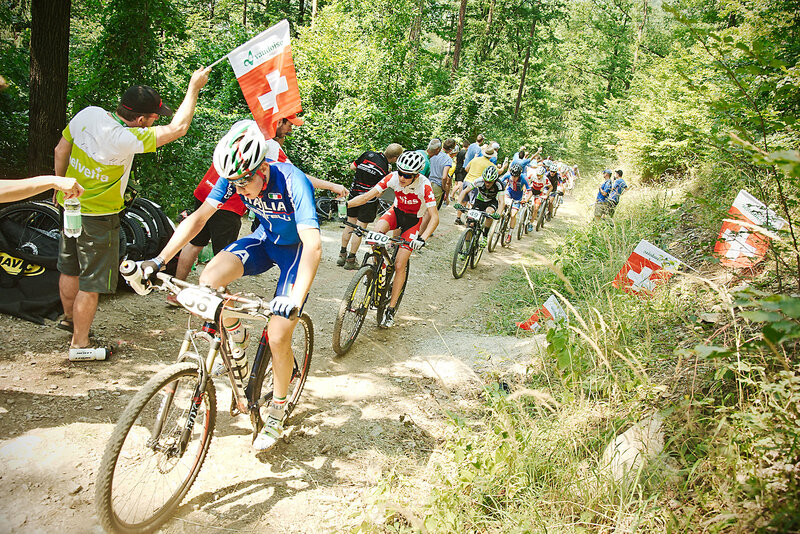 Until 2012 the best bikers in the categories U15 and U17 will meet annually in Graz/Stattegg to live the spirit of European friendship and mountain biking within four competition days. Wheels larger than 26 inches are forbidden at the UEC EYMCH12! 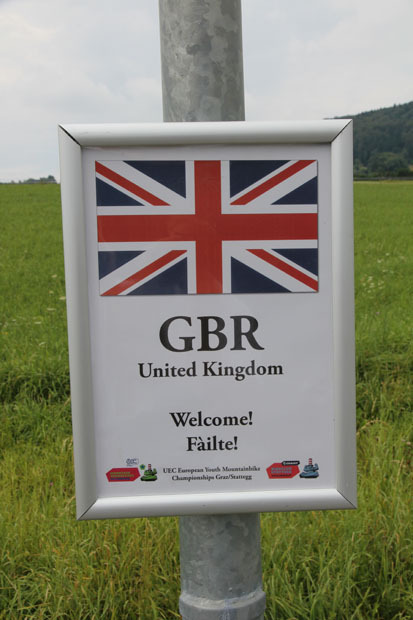 This rule is also valid for foreign participants within the Austria Youngsters Cup 2012 and in agreement with the UEC also at the UEC European Youth Mountainbike Championships 14.-17.08.2012 in Graz/Stattegg. 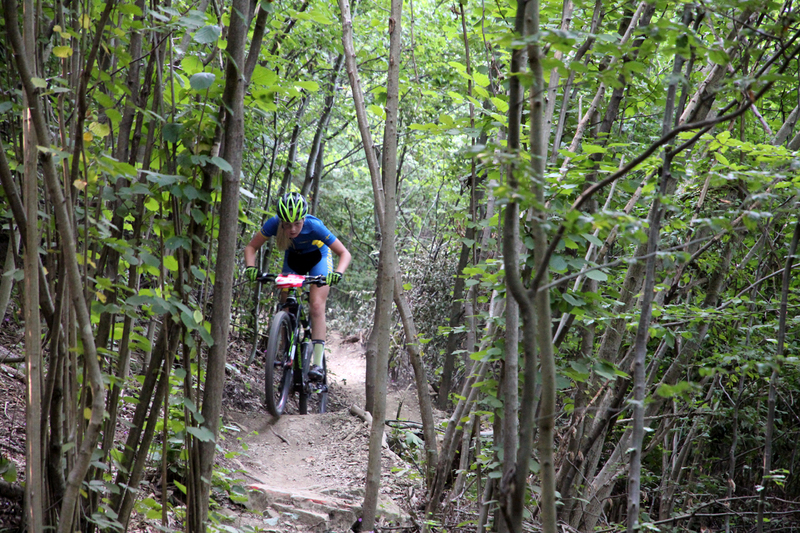 The start to the XC will take place in accordance with the ranking after the technical sections. (Gundersen method as at the Nordic Combined) Winner will be the rider who reaches the finish line first. Official European Championships U15 and U17 for the second time in history! The first of the overall ranking will be European Champion! The best teams overall will be honored (inofficially) too! Participation is possible for national, regional and club teams. The entries will be collected directly by the organizer. National teams must be nominated and registered by the national federations. 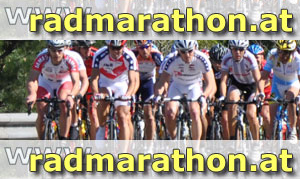 For the registrations the organizer will provide an online system on the homepage of the event. Registrations can be made unexceptionally for teams as a whole including coaches by the team leader. 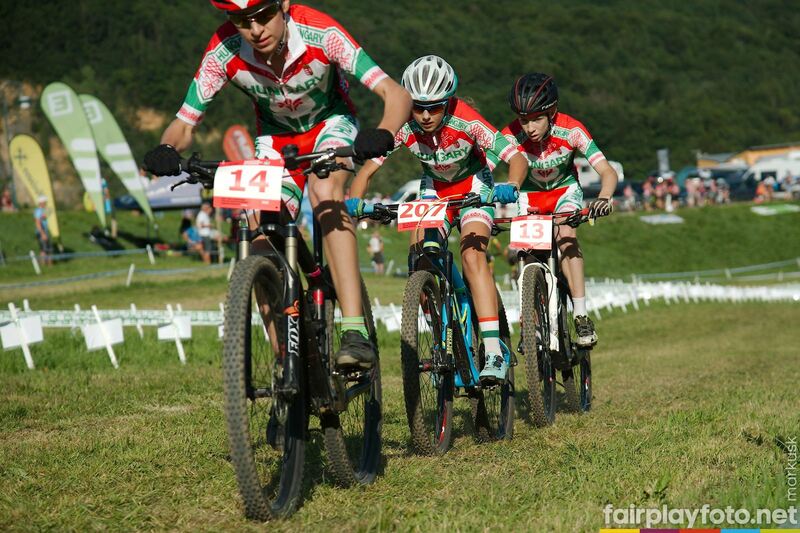 All members of one XCO team must be in the same category (U15 or U17). 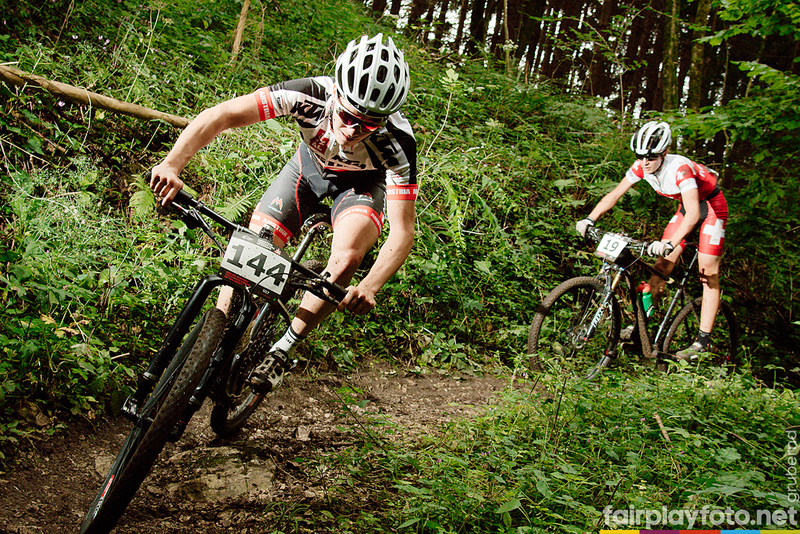 Every XCO-team consists of two men and one woman - so a total of three members. One Feed Zone pass per rider will be given to the coaches. Every participant and coach is going to be officially accredited. All team managers have to announce only the teams at this deadline. They may register the names of the participants nominated within their teams later. 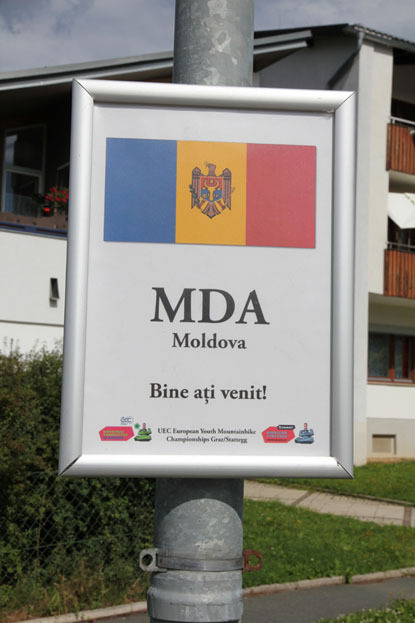 The deadline for this registration is 30th of July 2012. 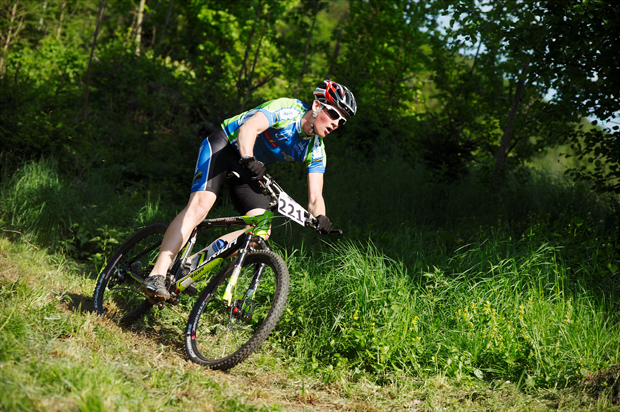 The registration form for the UEC EYMCH12 had been online from the 24th of may till the 1st of july! 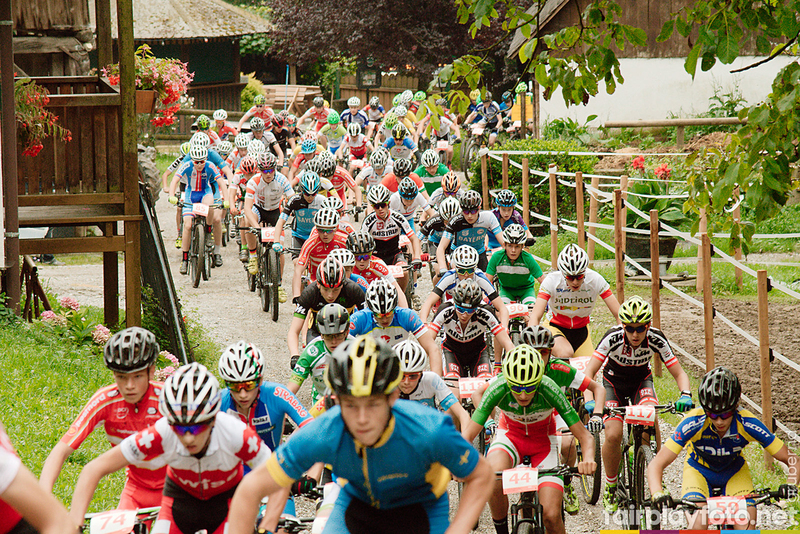 The registration form for the 2nd UEC European Youth Mountainbike Championships from the 14th to the 17th of august 2012 in Graz/Stattegg will be online on the 24th of may! You have to register your teams and to book your hotel rooms until the 1st of July. The explicit information about your riders you need to send us until the 30th of July. the ECH 12 is what we expect most. 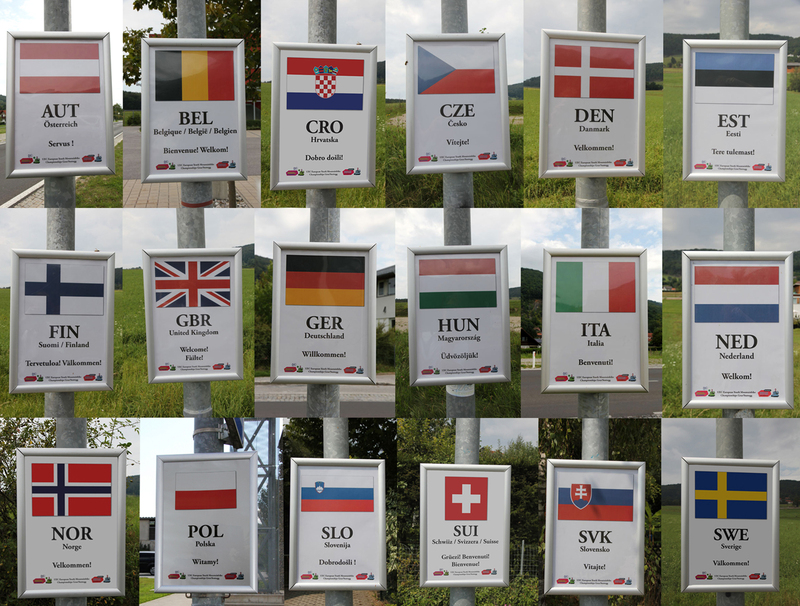 The remake of the UEC European Youth Championships in Graz/Stattegg will be timed from the 14. to the 17. of august 2012. 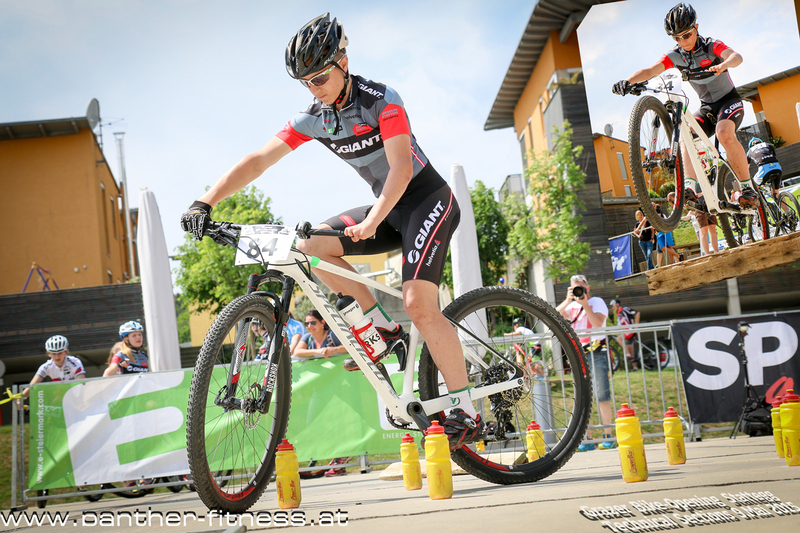 For the strong Austrian Equipe it may be expected that the compeditors will increase in number and strenght. 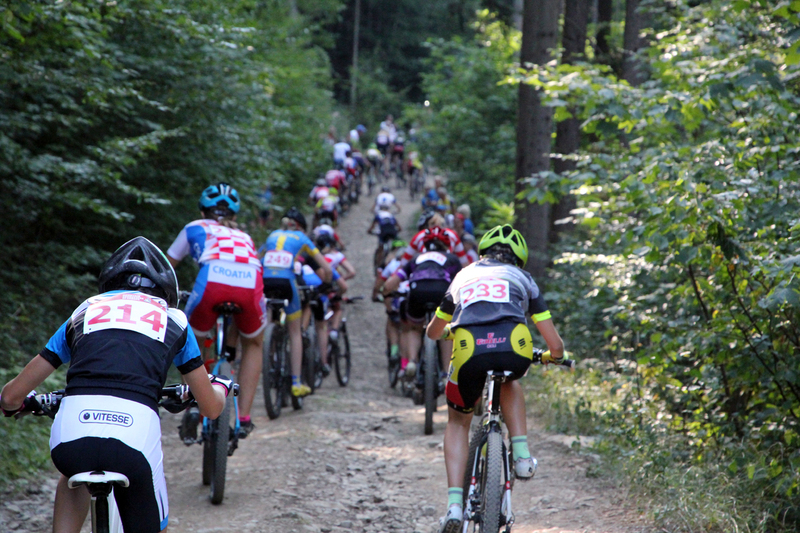 The results of Day 1 (Time Trial and Team Relay), Day 2 (MTB combined), Day 3 (XC X-Large) and Day 4 (XCO and Overall) you may also find in the Topline! 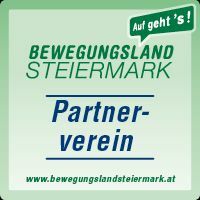 Foto story on KLEINEZEITUNG.at online! 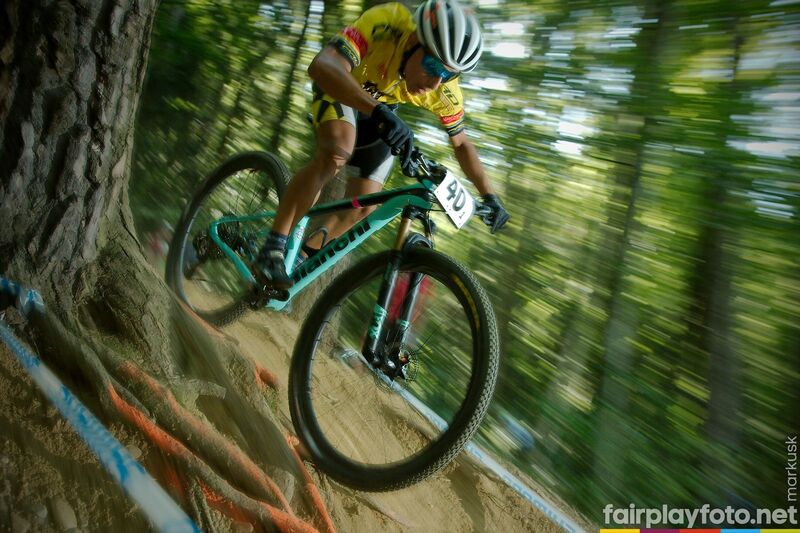 News, Results, Fotos, Film of each day! 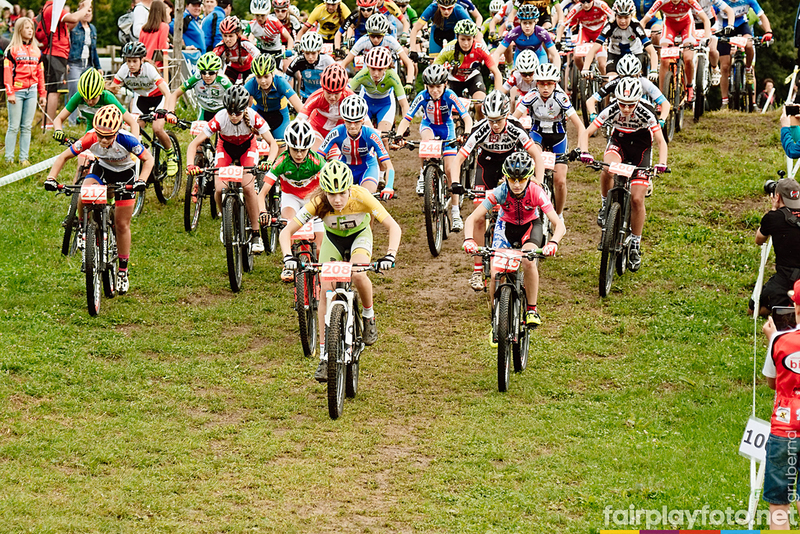 88 Teams with 3 riders each are registered! 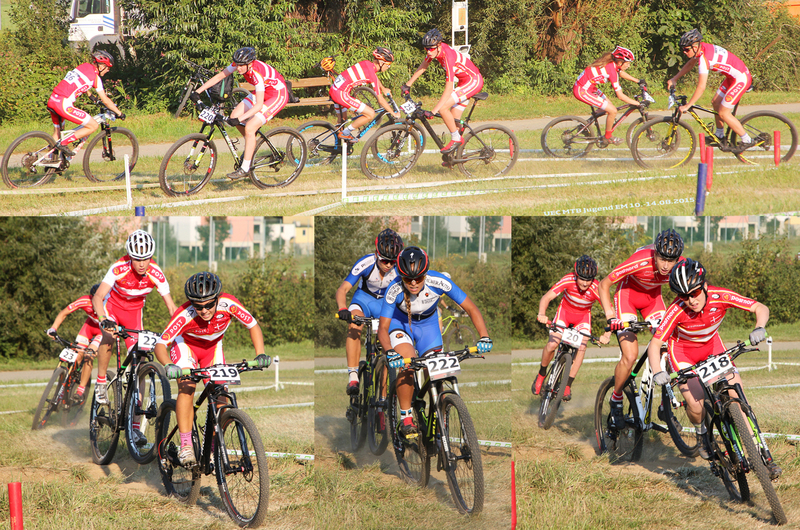 That means a total of 264 riders in the categories U15 and U17. 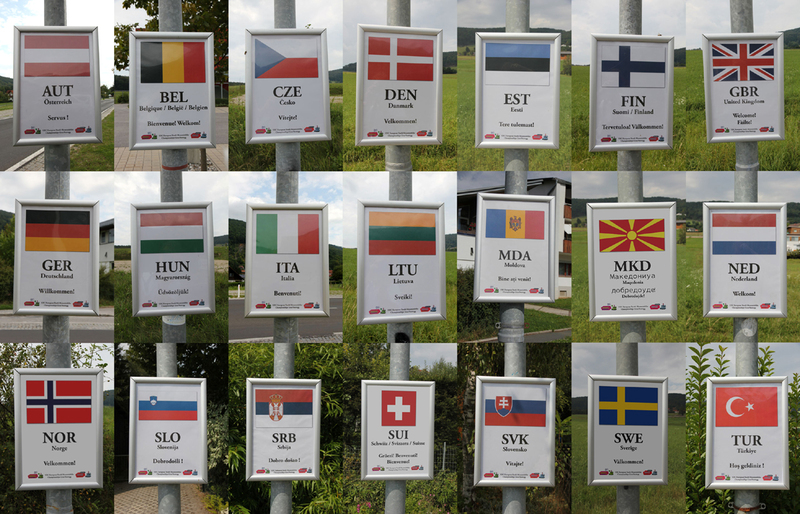 Riders from 18 nations will take part. 14 national federations will send 32 national teams! 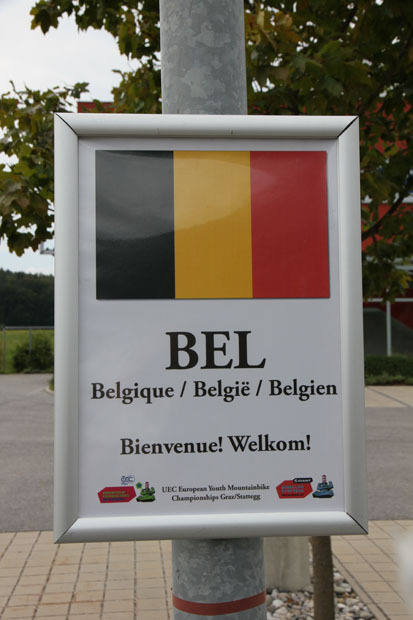 This result of the registration beats all expectations for the premiere of the UEC Youth ECH. 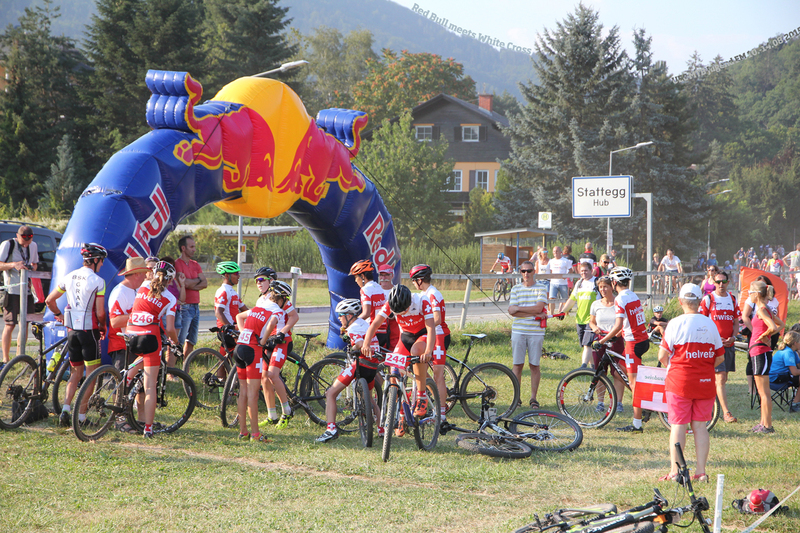 Riders Exchange for XCO Team Relay! 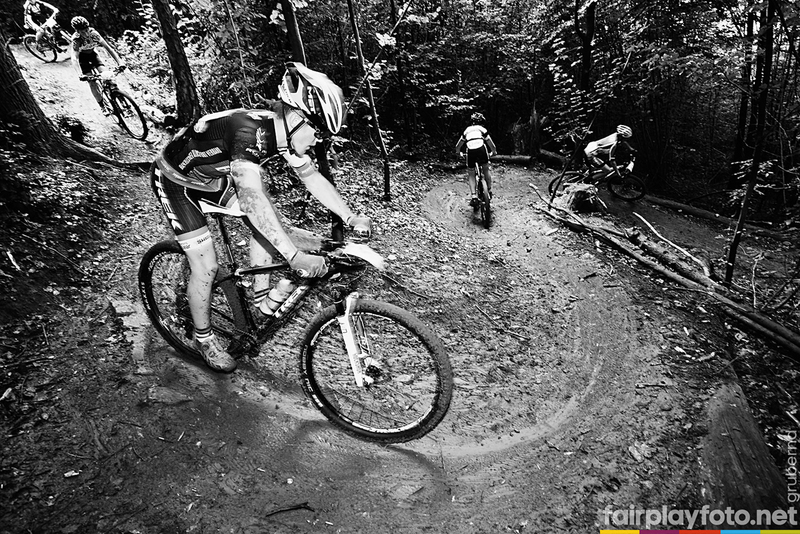 We want to give the possibility of participation to all young riders! Therefore we established a Riders Exchange for teams, which are looking for missing riders and riders, who don´t have a team. The requests must be filled in the official registration form and sent to the organizer. We will publish the requests continuously! The team managers can contact each other and build new, even international teams. Official European Championships U15 and U17 for the first time in history! The entries will be collected directly by the organizer. National teams must be nominated and registered by the national federations. For the registrations the organizer will provide an online system on the homepage of the event. Registrations can be made unexceptionally for teams as a whole including coaches by the team leader. 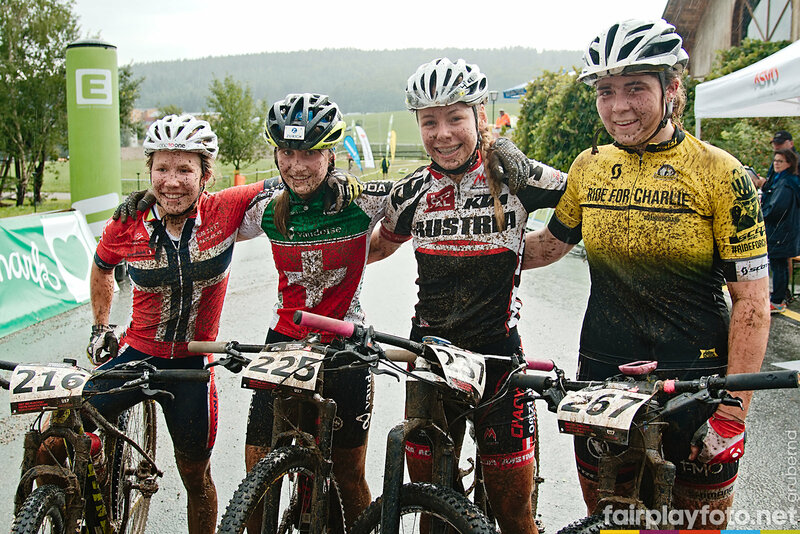 All members of one XCO team must be in the same category (U15 or U17). 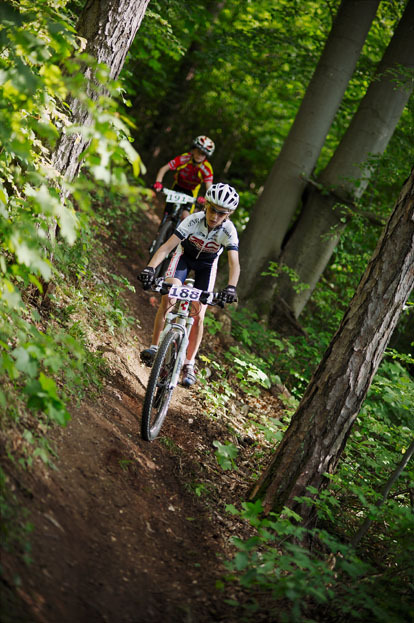 Every XCO-team consists of two men and one woman - so a total of three members. One Feed Zone pass per team will be given to the coaches. Every participant and coach is going to be officially accredited. In the TRIAL competition no Team Relay will be hold. Therefore the composition of the Trial teams is not regulated. 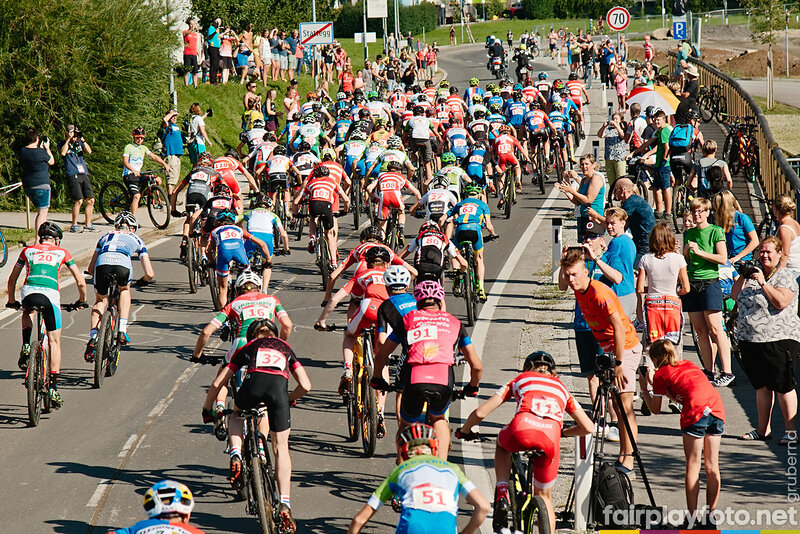 National Federations have to announce only the number of the riders at this deadline. 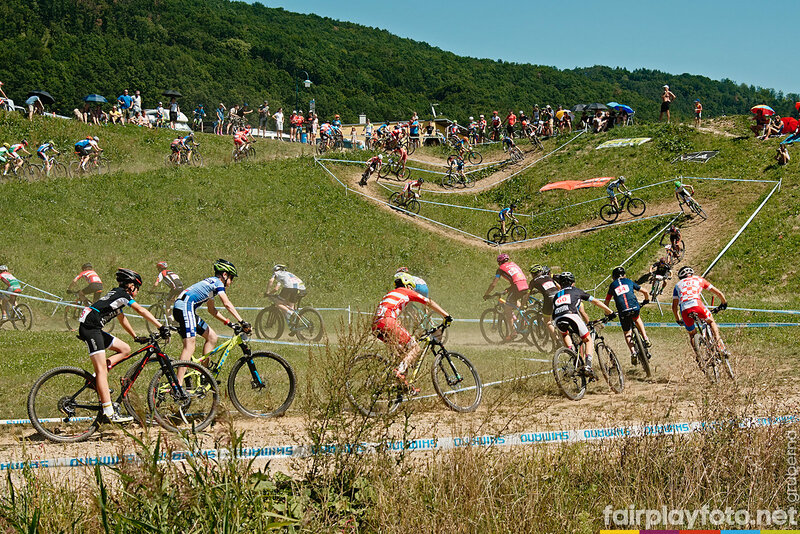 They can register the names of the participants nominated within their national teams after the national championships XCO (16.-17.07.2011) . The deadline for this registration is 25th of July 2011. 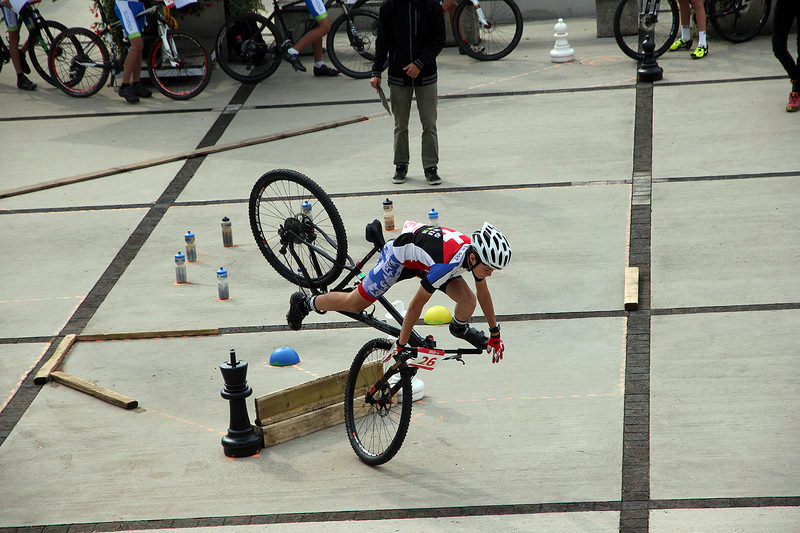 UEC Youth Championships > The registration is open from 17th to 29th of June!